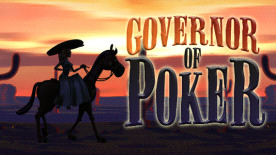 Go back to the roots of this exciting card game and play Texas hold ’em poker against the old western pros for cash, transport, real estate and tournament titles! Choose who to challenge or what tournament to join and try to outsmart or out-bluff your intelligent opponents in this totally different kind of poker game. Take over buildings and manage your properties well to gain access to transports to the next town. Discover what poker challenges lie behind the horizon. Grow towards new, harder, challenges. Discover and counter different play styles. Travel through 13 divers cities. Join tournaments of different sizes. Enjoy a realistic poker experience. Play an instant poker game for quick fun.